YOU ARE GROUNDED, STABLE AND CALM IN THOUGHT, SPEECH AND ACTION. YOU ARE EASY-GOING AND SUPPORTIVE IN RELATIONSHIPS. THERE IS AN ELEMENT OF STEADINESS TO YOUR STEP, A QUALITY OF SERENITY IN YOUR SMILE. LOYALTY IS YOUR SECOND NAME. Kapha is your dosha type. What is a dosha? It's simply the Ayurvedic definition for your bio-individuality. In other words it's your body type, which includes your metabolic constitution, your personality, and your physical characteristics. So I'm A Kapha. What Does This Mean? You are physically strong and resilient. You are also placid, kind, and thoughtful. 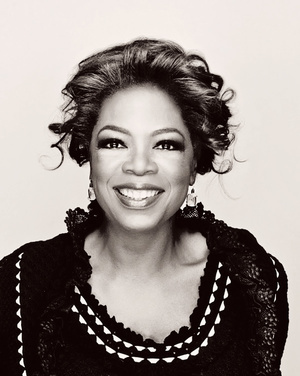 You are sweet-natured, loyal and affectionate…and you hate confrontation. You do not like change or the unpredictable aspects of life. You may have a tendency to be a lazy – ‘couch potato’ who likes nothing better than to sit around, relax and do very little. Exertion does not come naturally to you, although vigorous exercise does make you feel really good. Your appetite is stable, though you are often not very hungry first thing in the morning, when you tend to feel sleepy. You love food and have a tendency to comfort eat. Your digestion is slow and sluggish as is your metabolism which means weight is often something you often battle with. Factors that can cause your dosha to increase include a diet that contains too many deep-fried, sweet or heavy foods, over-consumption of ice-cold foods or beverages, exposure to cold and damp, daytime sleep, and lack of exercise. 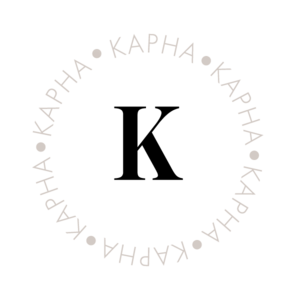 KAPHA DERIVES FROM THE ELEMENTS OF EARTH AND WATER AND TRANSLATES AS “THAT WHICH STICKS.” IT IS THE ENERGY OF BUILDING AND LUBRICATION THAT PROVIDES THE BODY WITH PHYSICAL FORM, STRUCTURE, AND THE SMOOTH FUNCTIONING OF ALL ITS PARTS. KAPHA CAN BE THOUGHT OF AS THE ESSENTIAL CEMENT, GLUE, AND LUBRICATION OF THE BODY IN ONE. The primary lifestyle recommendation for balancing Kapha is to get moving. Physically, get some exercise every single day. Kapha’s have a tendency towards sluggishness and exercise first thing in the morning will get your lymphatic system moving, and clear away any brain fog. Mentally, challenge yourself with new activities—learn a new skill, solve some puzzles or take a class. Emotionally, welcome new relationships in your life by making it a point to meet people—volunteering comes naturally to the caring Kapha nature and can provide a great way for you to make friends. Do not skip meals, and do not fast. The Kapha digestive fire (metabolism) tends to be low, as does your appetite, and not eating on time slows down the metabolism even more. Start your day with a light breakfast. Eat a sustaining meal at lunch, and a lighter meal for dinner. You have a tendency towards oilier skin so deep-cleanse oily skin twice a day with a natural cleanser to rid the skin of surface impurities and grime. Once a week, exfoliate your skin with a cleansing scrub. Shampoo your hair every other day at least with a gentle natural shampoo. The ayurvedic oil massage, performed each morning before your shower or bath can help dislodge embedded toxins and increase natural energy levels. Mustard oil will get your lymphatic system moving and this oil is known to improve cardiac health, has antibacterial properties and is an anti-fungal too. Its also great as a blood stimulant – all things that Kapha’s need. Protect yourself from the damp and cold. Drink lots of warm water, infused with warming spices such as turmeric, dried ginger and black pepper. These spices are powerful antioxidant, anti-inflammatory, antiseptic, anti-fungal, and anti-bacterial agents. At-home steam therapy can help open clogged channels and relieve congestion especially during allergy season. Vigorous activities are ideal exercise for Kapha-dominant people that tend towards sluggishness and low metabolism. Exercise every day for best results, but without overstraining. Racquetball, tennis, jogging and aerobics are good activity choices for balancing Kapha. Exercise in the morning so that you can to get a good charge for the day ahead. Add zest to your life by consciously incorporating variety and new experiences into your life. Travel, meeting new people and trying new hobbies are ways to embrace change. Kapha’s can get stuck in their moods too and can become unmotivated – change is what stimulates the mind for you. Set aside about 30 minutes each day for meditation, to help calm the mind and enhance body- mind-spirit coordination. Baked apples with a sweet, spicy filling makes a simple, yet classic dessert. Cranberries are effective in lifting your moods by relieving depression. According to a research, these red berries are excellent for the brain and are helpful in improving memory too. The red berries are cardiac friendly. They tend to increase the proportion of high-density lipoproteins (HDLs) and lower the low-density lipoproteins (LDLs), thereby preventing heart attacks. These Bog berries are termed rightly as super foods. Cloves offer many health benefits, some of which include providing aid in digestion, having antimicrobial properties, fighting against cancer, protecting the liver, boosting the immune system and controlling diabetes. Did you know that cloves are considered an aphrodisiac too? Don’t say I didn’t warn you! 2. Remove the core from each apple, without cutting all the way through the skin on the bottom. 3. Place the cranberries, raisins, figs and apricots in a mixing bowl. Sprinkle in the ginger and cinnamon and pour in the apricot juice. Mix the ingredients thoroughly and then fill the apples with the fruit mixture, allowing some to sit on top of the apples. 4. Place the apples in a baking dish and pour any remaining fruit mixture over them. 5. Pierce each apple with 4 cloves. 6. Bake for 25 minutes or until the apples are tender. Remove from the oven and place on individual serving plates. Enjoy delicious, healthy meals that are specifically designed for the metabolism of a Kapha with an Ayurveda Meal Plan from The Holistic Highway. Try a Kapha meal plan for free with a 14 day trial. If for whatever reason you aren't satisfied with your plan, you can cancel at the click of a button, no questions asked, and never pay a dime. After that, it is just $6.99 a month. What have you got to lose? Sign up today!